From the moment when we stop managing our jewelry store on paper and start using a system, the question of integrating it with third-party systems becomes unavoidable in order to move data back and forth between those systems and ours. There are many examples for what platforms your jewelry store or manufacturing management system might need: Rapnet, GIA, QuickBooks, pulling market prices for metals, exchange rates for currency, communicating with your shipping providers, customer relationship management system, your website or other websites like Shopify or Etsy, or different payment gateway integrations. A few months ago I attended the JCK Vegas show where representatives of the jewelry industry gather in a great number, along with many jewelry retailers. Being curious about how these retailers work at a tradeshow, I took a closer look at how they complete their sales and how they follow their inventory, so I talked to them and asked a few questions about this. What was very surprising to me was to see that most of them still do these tasks manually. Nowadays, when there’s some sort of technology solution for everything, it seems odd that a jewelry retailer still hand-writes orders and invoices. Implementing a jewelry software (or any other ERP) is a huge undertaking and inevitably comes with a certain degree of risk. For example, a recent study from an independent ERP consulting organization, Panorama Consulting, revealed that 28% of organizations reported their ERP implementation as a complete failure, resulting in an abandoned product. This is somewhat surprising, as for most companies the risks are manageable if they are known ahead of time. Identifying problems that may arise and addressing them early will certainly help mitigate them before they become a point of failure for your project. Some decades ago, in the sixties, just around the time when computers were about to be introduced in commercial service, people realized that these machines were pretty good for keeping track of inventories and estimating materials needs for manufacturing. This gave birth to the idea of Materials Requirements Planning – a collection of tools and methods for planning and managing materials for production. Smaller jewelry businesses usually use different manual tools for tracking their processes: excel sheets, Google sheets, various documents, sometimes even pen and paper. As long as there is not a large amount of data that needs to be copied across these sheets and kept updated, this is fine and is (for the most part) convenient and cost-effective. The problem arises when there are many people involved in the process or the complexity of the process increases. Our CEO, Zsolt Torok has started a video blog – called Next Level Jewelry – in which he will be talking about topics that can help jewelry business owners to get familiar with technology solutions for their business. In this very first video blog he is talking about why small jewelry businesses should invest in technology and automate repetitive tasks. Tradeshows and other live events are great for B2B activities. However, due to the nature of our business we've found a better way of building relationships with our customers. PIRO Summit - organized for the first time in March, 2018 - is a dedicated live B2B event where we dedicate our time to jewelry companies looking for different IT solutions. Let me introduce PIRO Summit to all blog readers. Why legacy POS systems are failing to serve the jewelry retail sector? The US has been historically leading in creating and adapting new technologies – the jewelry retail sector is not much different in this aspect. In the early 2000s, when the first jewelry point-of-sale (POS) systems were launched, technically-minded jewelry retail stores started to use these computerized POS systems instead of paper sheets to track their sales and inventory. The IT segment has kept an eye on the growing demand for jewelry specific POS systems and today there is a fierce competition: retailers can choose from a dozens of systems. But not all of them are scalable enough to keep up with the recent changes in the retail sector. In this article I would like to highlight some trends that I envision for the next few years. Whether you agree or not, share your thoughts with us in the comment section – I look forward to reading them and starting a conversation. How to take part of the jewelry branding revolution? How can smaller jewelry retailers and manufacturers stand out from the crowd and grab market share on the branded jewelry market? The value of jewelry branding is increasingly important; the branded jewelry segment has doubled since 2003. It is expected to comprise 30 to 40 percent of the fine jewelry market by 2020 – there is certainly enough room for more jewelry brands. The next few years could mark a revolutionary age for jewelry brands. 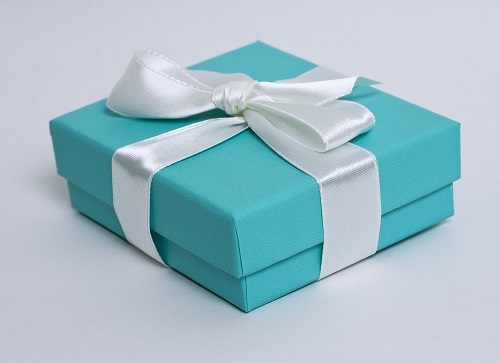 Branding is not just for globally popular names like Tiffany & Co or Pandora. Well designed, stocking brands can result in a significant business boost even for newcomer brands. Would you like your jewelry line to be the next well-known jewelry brand?